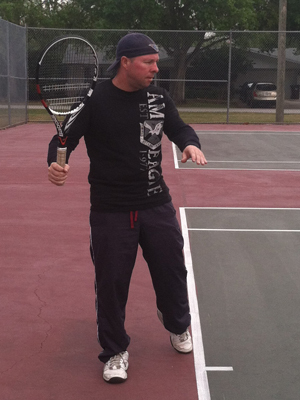 Many players do not treat the forehand as a two part swing so in essence they do not even do a unit turn, they just swing a forehand, Almost every good player does a two part forehand swing. 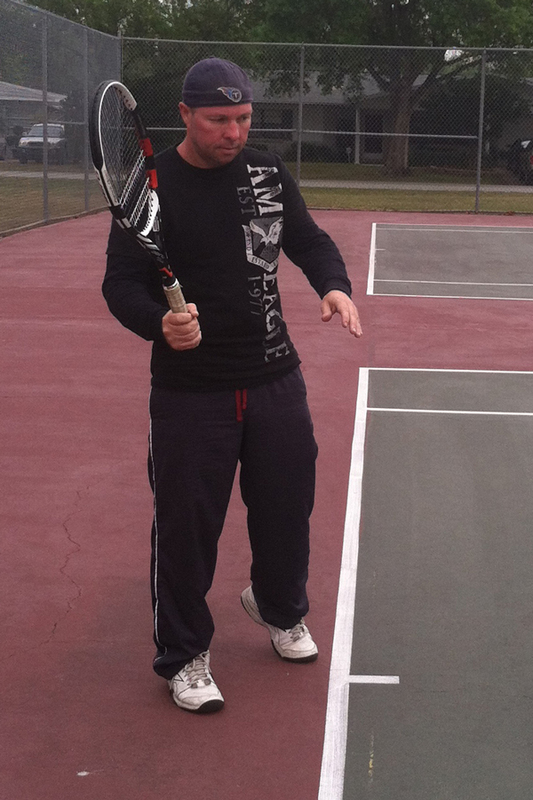 The biggest mistake made by players on the unit turn is excessively moving the racquet. 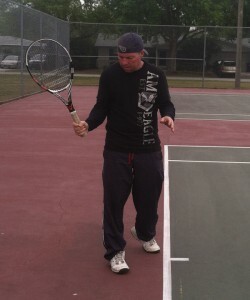 Some people have a tendency to swing the racquet up in an arc type motion. Still others swing the racquet around their body in a horizontal type movement. 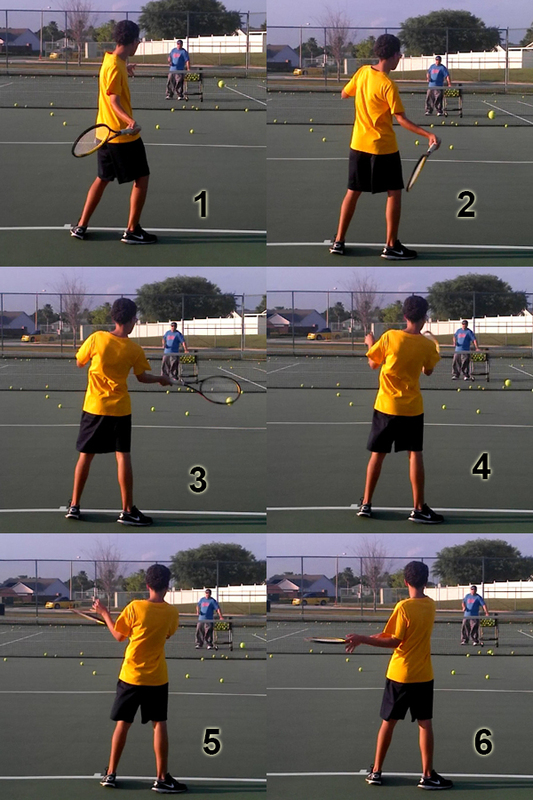 Of course there are many other variances in swinging the racquet back too, but these are the most common. Remember that we want to use as few muscles as possible for every swing. 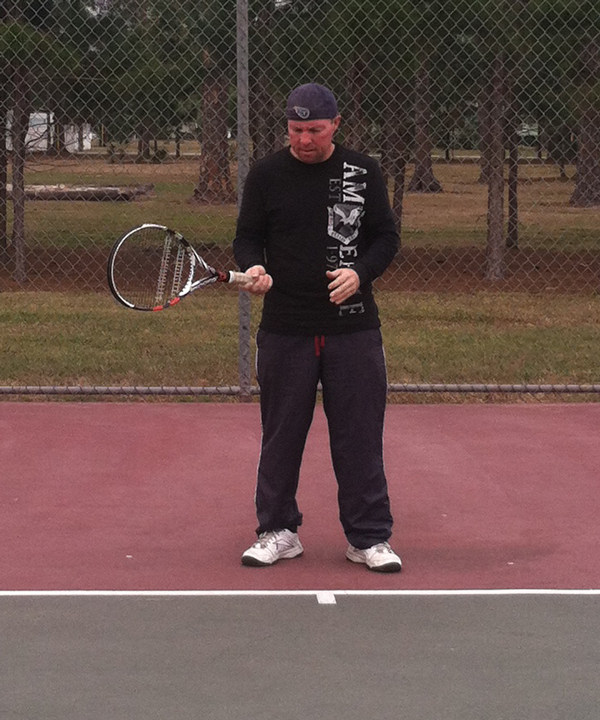 By swing the racquet up or down, we are using extra muscles. This will lead to inconsistent swings. It also isolates the racquet and arm from the rest of the body which will lead to a substantial loss of power. We really want to not even think about the racquet during the unit turn, just forget it even exists and just turn your shoulders and hips. Remember after the unit turn is complete you should be able to return the racquet back (without moving it) and have it end up in the same position it was in for the ready position. 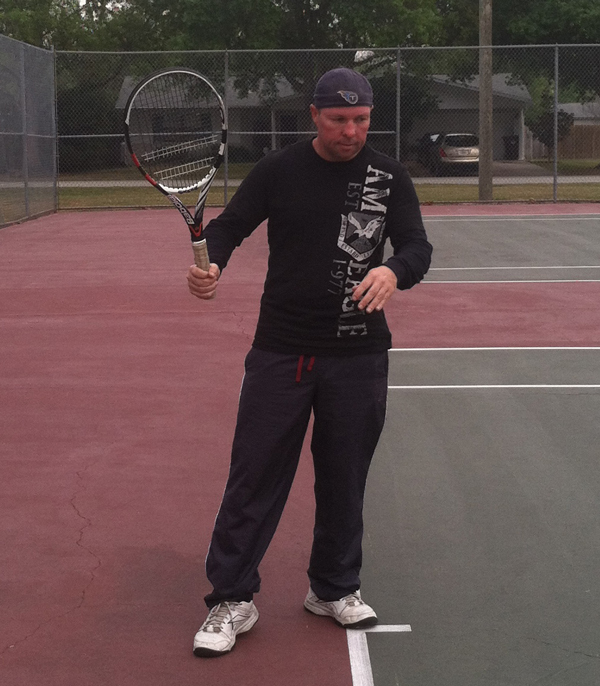 If you swing the racquet up, when you return to the ready position it will be too high. 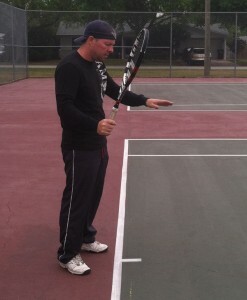 If you swing the racquet down, it will be too low when you return to the ready position. 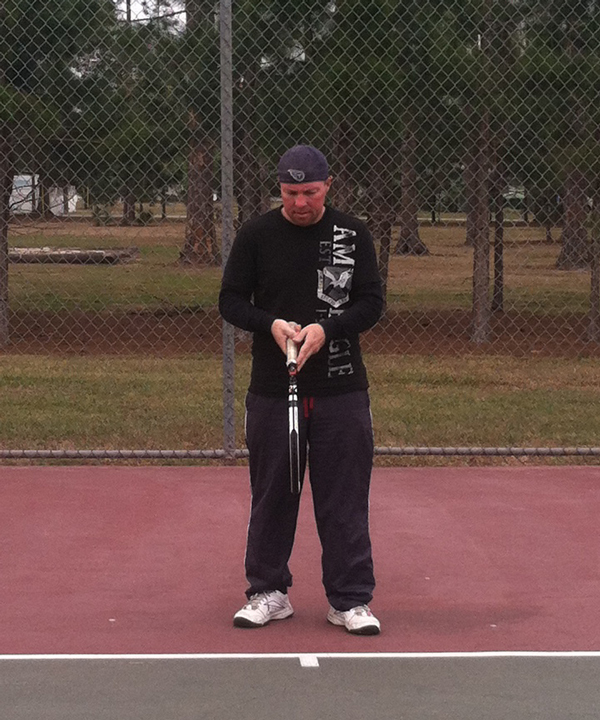 And probably the most serious mistake is swing the racquet so it ends up too far behind you. 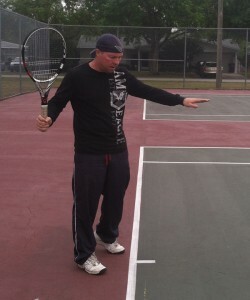 When you return to a ready position from here, the racquet will be too far to your right. 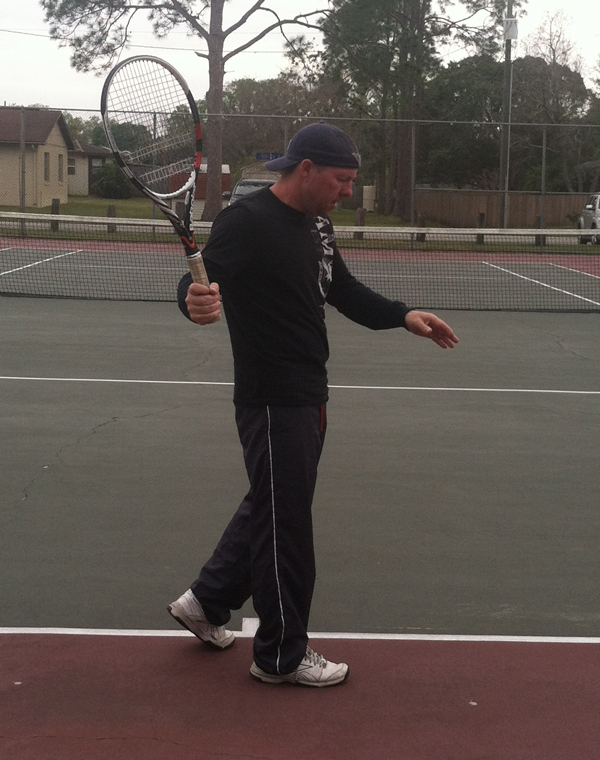 Another big mistake is taking the left hand off the racquet too early. Taking the left hand off too early can cause numerous problems. It can lead to a loss of power as the front shoulder will not coil enough and you will be losing a lot of potential energy for the swing. Another problem is it can cause the left arm to be too far in front of the body which can lead to a horizontal swing instead of a vertical swing as well as cause a loss of balance before and during the swing. 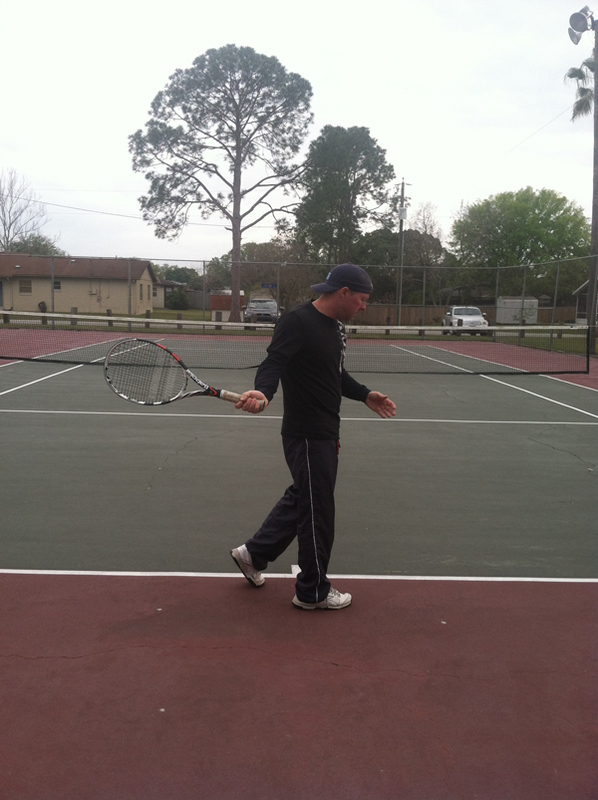 Taking the left hand off the racquet too early can also lead to a loss a racquet stability that can cause the racquet to go out of sync with the body and lead to a loss of control. or not keep it bent by straightening out the arm too much. 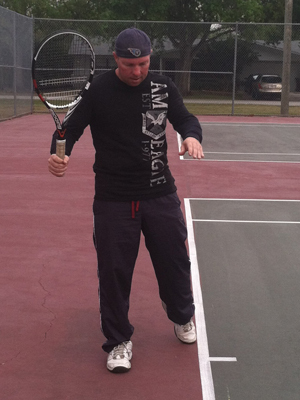 Putting the elbow on the body will make it easier to put the racquet behind your body and can lead to wrist layback. 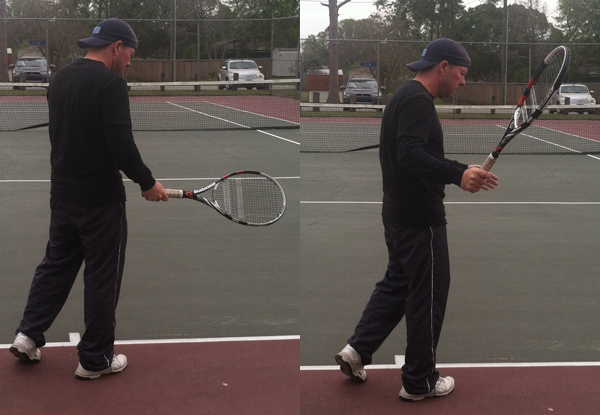 Wrist layback leads to isolating the racquet and arm from the rest of the body. 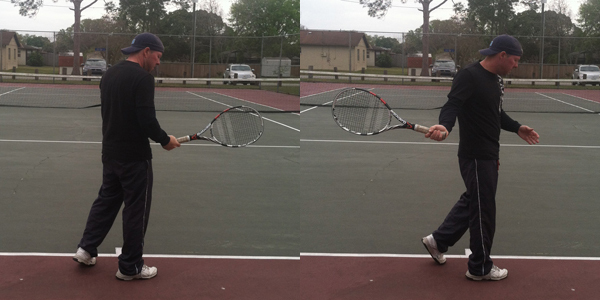 The racquet behind the body leads to elongated, horizontal swings. moving the head too much. Hover over the below image to see the head move.